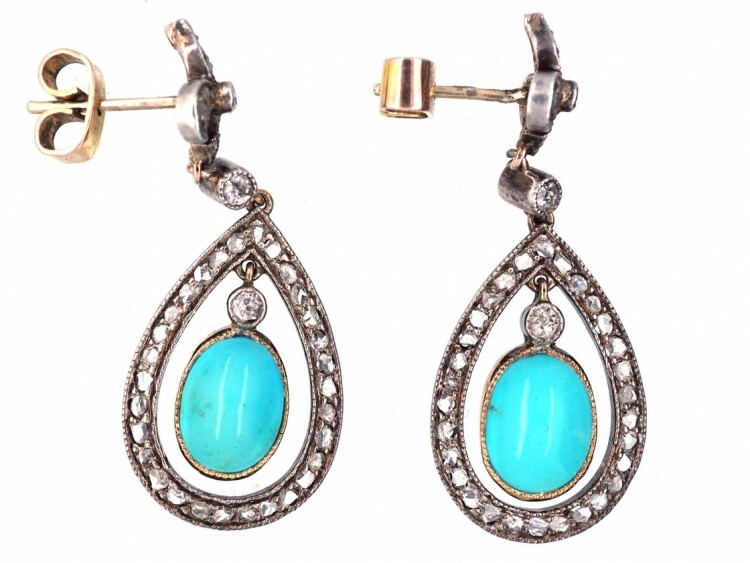 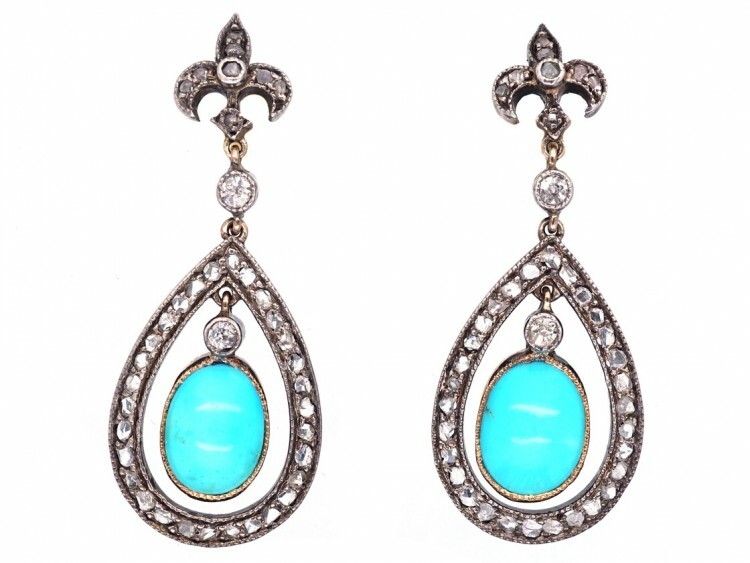 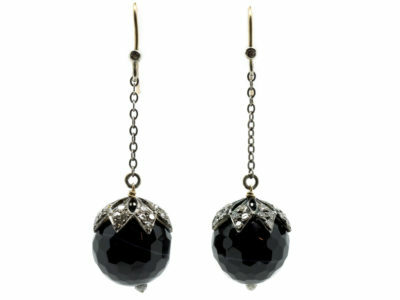 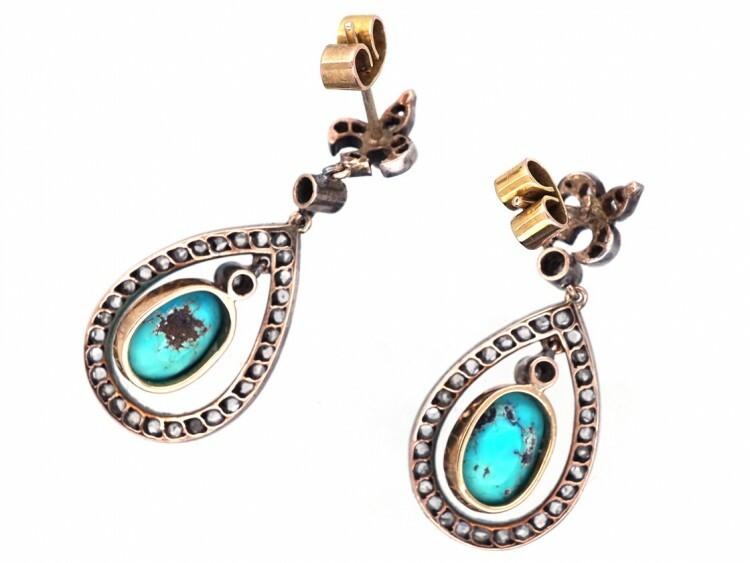 A very pretty pair of turquoise and rose diamond pear shaped drop earrings. 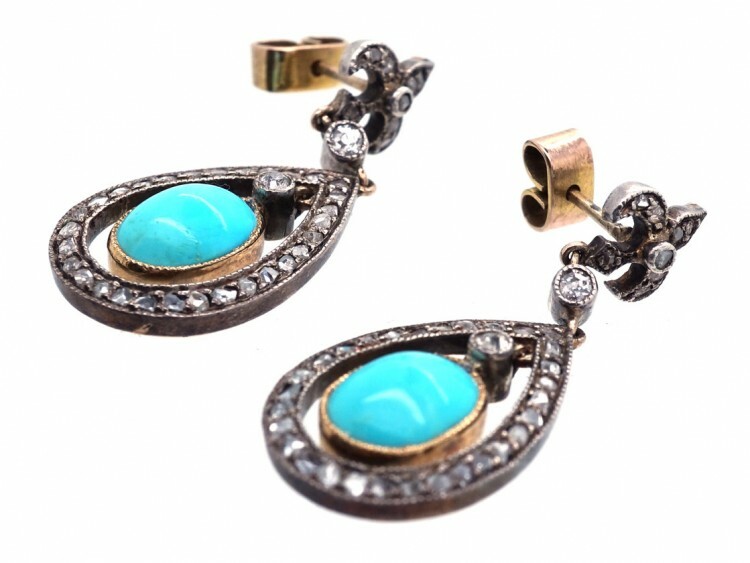 The turquoises are very well matched and articulate within a rose diamond border. 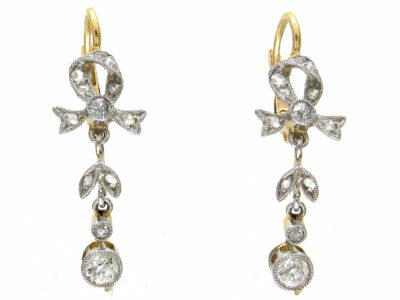 The tops are fleur de lys set with small rose diamonds. 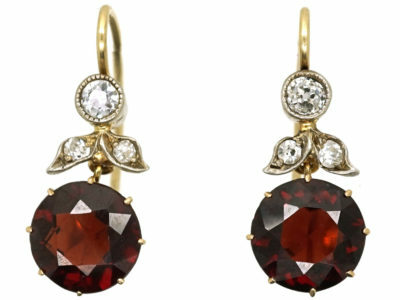 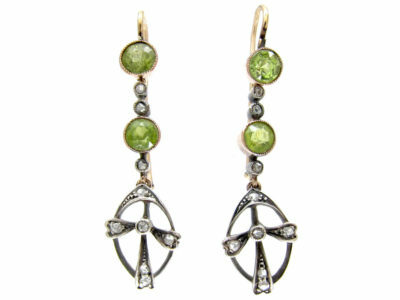 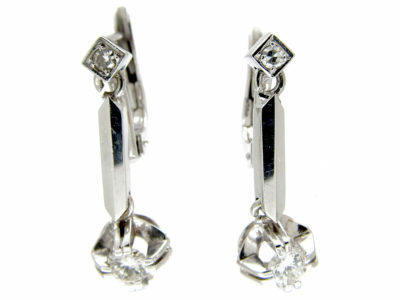 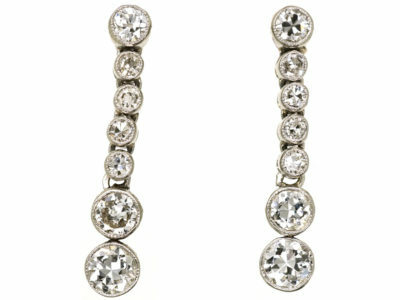 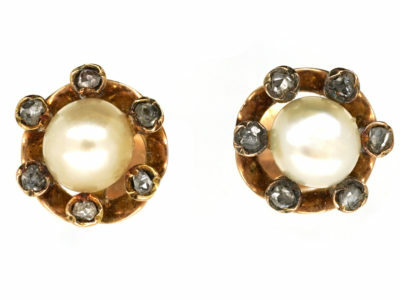 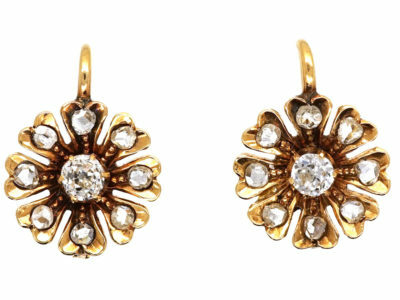 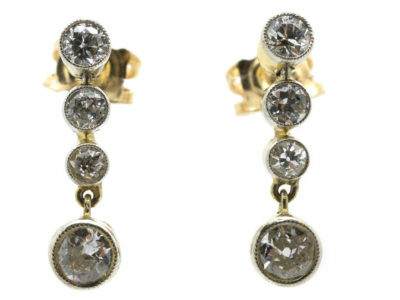 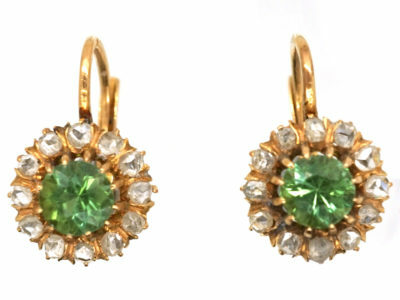 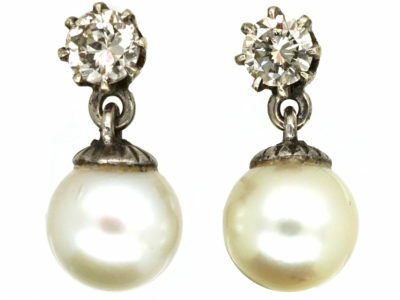 There are three brilliant cut diamonds down the centre of each earring. 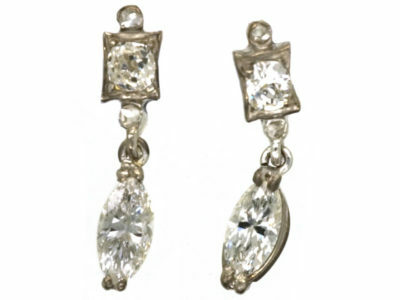 The overall effect is lovely when worn as they catch the light beautifully.